Ewe Are Marvelous is made with pure fresh sheep's milk. The milk is gently stired in the olive oil along with lots of ground oats for gentle exfoliation. 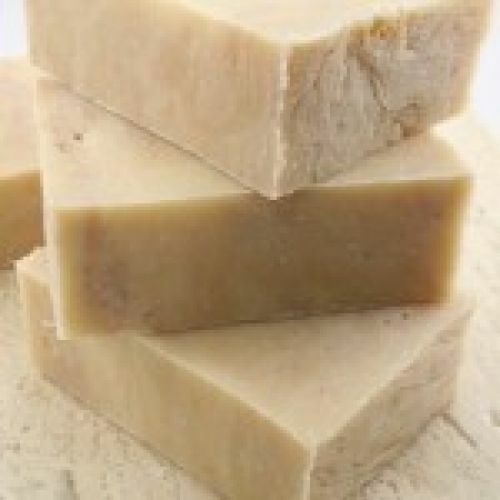 It has a delicious milk and honey drenched fragrance which makes it a very popular bar. It was originally made for the Sheep & Wool festival but quickly became a year round favorite. It is very gentle and suited for the most gentle and sensitive skin.